Must see! 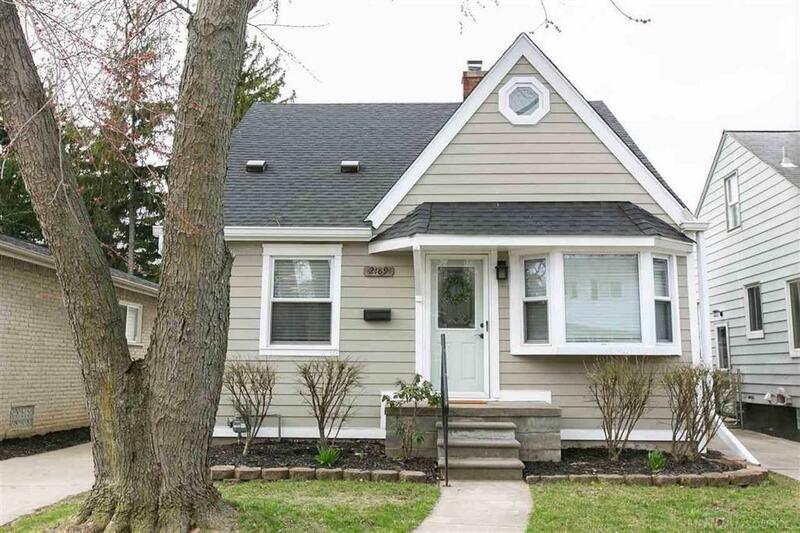 Beautiful completely updated 2 bedroom bungalow with 1st floor laundry. Spacious open floor plan. When renovating, the original 1940?s crown molding was kept to keep some of the original character. New hardwood floors, including Pergo Gold underlayment to help with sound, stability, and thermal insulation. The center island allows for a comfortable seating area and added counter space. Custom-built molding on all of the interior doors and windows as well. Newly tiled bathroom with updated fixtures. The upstairs master retreat boasts re-finished hard wood floors, a large walk-in closet, and an exposed original brick column. The crown-jewel of the upstairs is the carefully planned master bathroom featuring a large glass and custom tiled shower, two pedestal sinks and the skylight pours natural light into the room, bringing it to life. New carpet and great lighting in the basement, with a separate tiled workout room, utility room or den. IDX provided courtesy of Realcomp II Ltd., via Majestic Realty Group, Llc and MiRealSource, ©2019 Realcomp II Ltd. Shareholders.